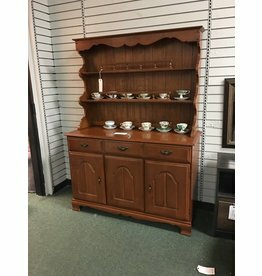 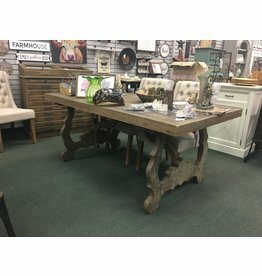 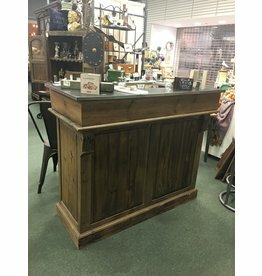 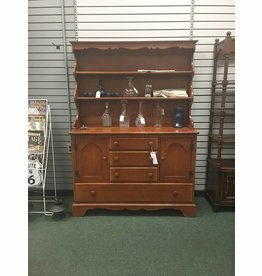 Vintage buffet with multiple different woods utilized in construction to create a unique look. 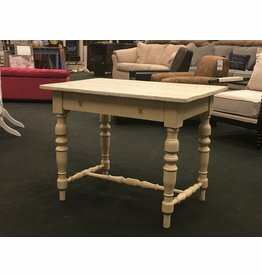 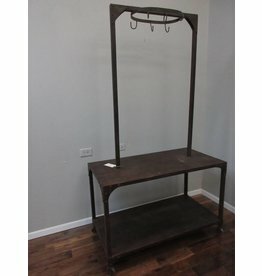 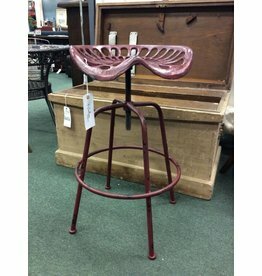 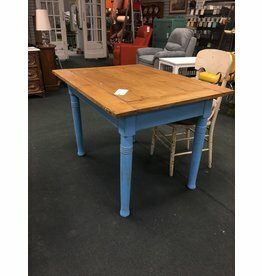 A true industrial rehab piece! 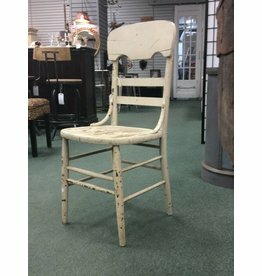 Antique, wooden dining chair with original white / ivory paint.